Breaking down her door in response to the sounds of a violent attack and a gunshot, Mademoiselle Stangerson's rescuers are appalled to find her dying on the floor, clubbed down by a large mutton bone. But in a room with a barred window and locked door, how could her assailant have entered and escaped undetected? While bewildered police officials from the S ret begin an exhaustive investigation, so too does a young newspaperman, Joseph Rouletabille, who will encounter more impossibilities before this case can be closed. 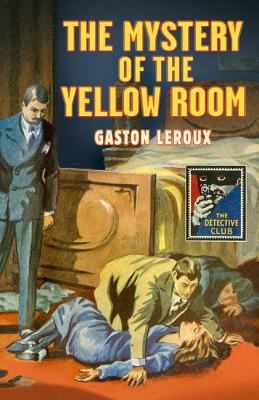 The Mystery of the Yellow Room by Gaston Leroux, best remembered today as the author of The Phantom of the Opera, has been deservedly praised for more than a century as a defining book in the 'impossible crime' genre, as readable now as when it first appeared in French in 1907. This Detective Club classic includes an introduction by John Curran, who discusses how the book impressed and influenced a young Agatha Christie, was lauded by genre giants including John Dickson Carr, Ellery Queen and Julian Symons, and remains to this day one of the most effective and enjoyable locked room mysteries ever written.